No matter how you ask the questions, the answer is always the same. Yes you can! You can incorporate innovative strategies into your church ministrystrategies that will affect not only the way you do church but that will dramatically impact the lives of current church members and help you in reaching out to your community. In this refreshingly practically book, Andy Stanley and Ed Youngtwo of America's most innovative and effective church leadersdeliver twenty-four creative ministry tools that you can adapt and use to help your own church be all God intends it to be. The inspirational stories on North Point Community Church in Atlanta and the Fellowship Church in Dallas are stories of small church plants that have grown into churches with weekend attendance of nine and fifteen thousand. But the true success of these dynamic churches is not revealed in their big numbers but in the lives that have been forever changed by the life-giving message of Jesus. What you learn in the pages of this book will enable you to change the lives of those you serve -- forever. 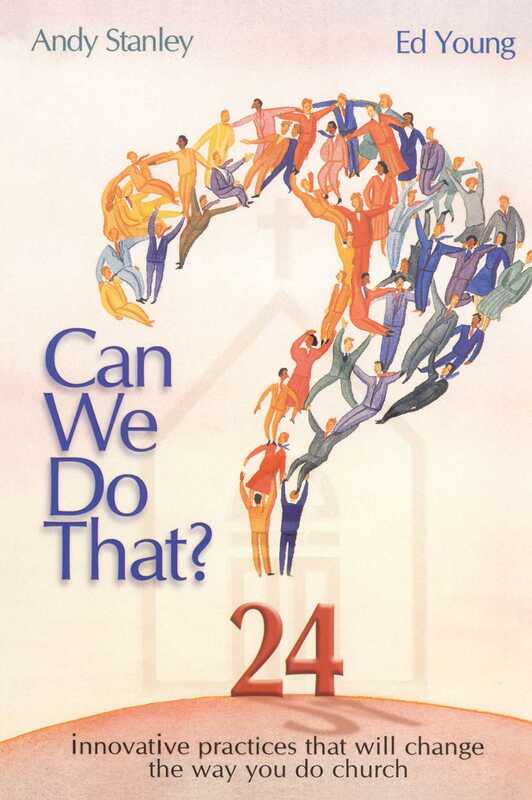 Book Cover Image (jpg): Can We Do That?